For more complete details on course content, eligibility, registration and certification, download our Training Guide. For an overview of the certification process, please click here. 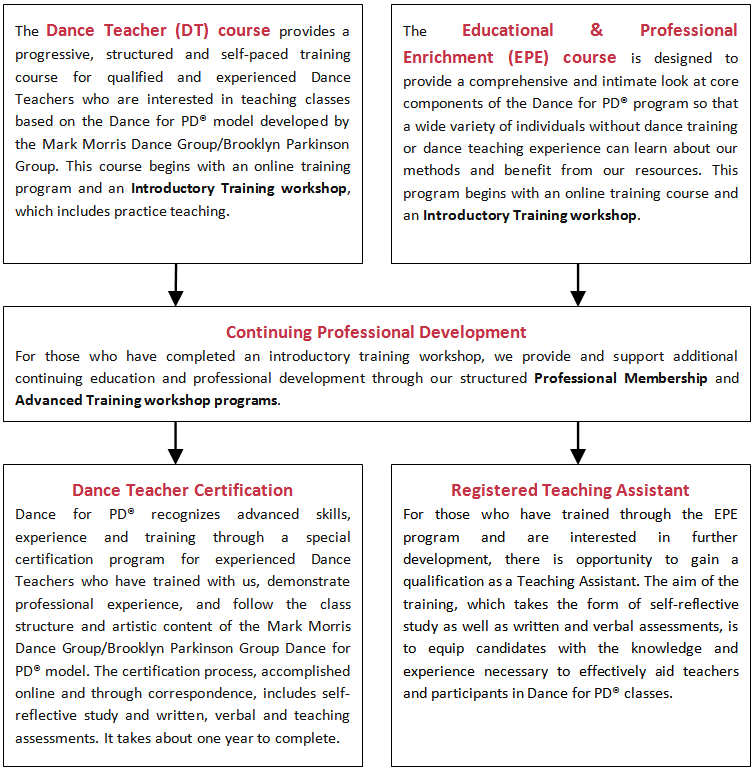 The Dance for PD® training program is divided into two courses (tracks) to allow for facilitators and trainees to focus on specific skills that are relevant to their backgrounds and interests. Each training course has its own objectives and accreditation sequence.